Rockboard Scooter Review: The Smartest Scooter Ever? 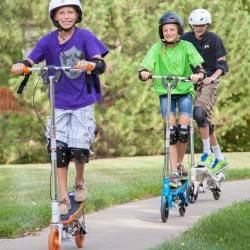 .Hello Kids Ride Wild blog readers, welcome to the Rockboard scooter review. 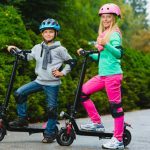 With the holiday season just around the corner, we have written this specially for all of you looking for a new scooter for your little ones. We know it’s not easy to find a right scooter these days, we know exactly what you are going through. You see, the author of this post was dragged along when his friend decided to buy a new scooter for her son. We went through countless numbers of toy stores, checked dozes of products before we chose a what we thought was a perfect scooter. And that was none other than the Rockboard – a smart, innovative and well designed scooter for youth (and even for us, adults). The biggest advantage of the Rockboard is that the scooter doubles up as 2 in 1. The advanced technology allows you to shred the pavement in Rockboarding mode, or quickly transform your Rockboard Scooter into a low-profile kick scooter. The rear spring-enhanced suspension means the smoothest ride even on the most unforgiving pavement. With superior strength, and lightning quick dual-mode action adjustment, your new Rockboard Scooter means hours of insane fun – for you or your kids! The Rockboard scooter is built to last, with an ultra-strong steel box frame, a steel front fork, and a die-cast aluminum deck. The scooter’s rear spring-enhanced suspension system, meanwhile, creates a smooth ride on the most unforgiving pavement. And thanks to the nylon-reinforced spokes and super-tough urethane wheels, the scooter provides amazing rolls and even better traction. Other features include a reinforced handlebar assembly for safety, comfort grips and an aluminum alloy brake handle that allow for secure control, a telescoping downpipe with a height adjustment lock, and an oversized nylon coupler that allows you to fold the handlebars for compact storage. 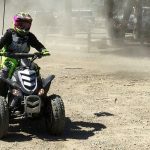 As with most ride on toys, manufacturers tend to trend a little more towards the older kids when creating an age range for their riders — likely so that parents can’t complain when they plop their three year olds into the driver’s seat to ill effect. So with that in mind, the Rockboard Scooter has been made for kids who are aged eight years and older. But some of the responsible and daring parents have made their five and six year olds sit on this scooter as well. So if you think that your daughter or son is responsible enough, and is willing to take the time to understand the controls and grow comfortable behind the wheel of the Rockboard Scooter, then why not give them the chance? Of course, the best parent friendly feature is that since it has a maximum weight of 200 pounds, adults can even ride this scooter. 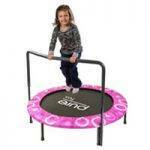 It will allow everyone to have a blast while getting a decent workout as well! So, even though the target market is 8-16 year olds, adults will also definitely enjoy riding the Rockboard. Whoever coined the phrase, “Safety First”, must’ve been a parent. 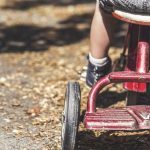 From crawling to walking, to riding a bike, to driving around in motorized vehicles, as the world grows larger in our child’s eyes, so do the number of dangers that lurk around its corners. That’s why it’s important to purchase products like the Rockboard scooter, which are designed and constructed with that “Safety First” type of mentality in tow. The rear-spring enhanced suspension system ensures that your child will be having the smoothest ride in even the toughest of roads and payments. The smooth grip bars on the handles ensures that you will be able to tightly grip while riding. In addition, while riding the scooter, your foot will also not be constantly sticking out. This makes for easy swerving and transportation in crowded areas. The Rockboard scooter provides your child as well as yourself with the best of both worlds. Since the scooter will be powered by your foot, it is able to go up to 10 miles per hour. While you are riding the scooter, you will be able to notice some amount of propulsion taking place. In addition, the wheels are of good quality which allows it to turn smoothly while pedalling. It is quiet and safe. 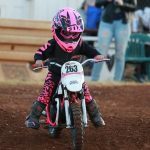 The speed is high enough for your child to have an exhilarating experience but at the same time it’s not that high that you will be panicking. Even when thinking about adults, it ensures that a decent speed limit will be maintained at all times. .So that brings us to the end of the Rockboard scooter review. Just when you think that everything having to do with scooters has been invented, the Rockboard Scooter comes along. The rocking propulsion system is fun and efficient. Every person who has tried it seemed to absolutely love it. The Rockboard Scooter’s design is smart and the idea has been well executed. Parents will love the fact that no assembly will be required and the easy fold and go system. The only real disadvantage which is being considered about the Rockboard Scooter may be the price point. 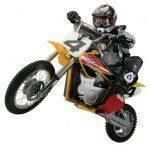 Priced at around $199, it is being considered to be slightly expensive, especially for a kid’s scooter. We believe the quality justifies the pricepoint though, after all it’s a premium scooter that should definitely last for long. Oh and did we mention that adults can ride it too? Have fun! Where to buy? Last time we checked, it was available on Amazon.